Timmy Failure Island for everyone -- next Tuesday! We are one week away from a huge day. Timmy Failure Island will become available for everyone to play next Tuesday, October 6! On that same day, the newest Timmy Failure book will become available when Timmy Failure: Sanitized for Your Protection hits bookshelves! Of course, Poptropica Members can play Timmy Failure Island now, so if you want to beat the rush, get your Membership today. The Poptropica app -- now available on Amazon Kindle! Now, there's another way to play Poptropica. The Poptropica app is now available for your Amazon Kindle device! 10 full Islands, including Arabian Nights: Careful What You Wish For! 3 multiplayer games in the arcade! 19 exclusive costume bundles in the shop! If you're a Kindle owner and you've been waiting to join the fun, then today is your day. Download the Poptropica app for your Amazon Kindle! We've just rolled out a fun new feature on your Home Island: the Photo Booth! The Photo Booth allows you to make your own Poptropica images by arranging a variety of backgrounds, characters, props, and effects. Choose from some of your favorite Poptropica characters and scenes. Re-size, rotate, and make a masterpiece! When you're done, you can save your image to share with friends. Go to Poptropica now to try out the Photo Booth! Arabian Nights episode 3 now in the Poptropica app! Arabian Nights: Careful What You Wish For -- free download! Three new bundles: Pets, Heroes of the Ages, and Greek Gods, still just 99 cents each! Poptropica's 8th birthday party is still going strong. Don't miss your chance to get ranked on the all-new Early Poptropica World Champions map. And if you've never finished Early Poptropica before, doing so during our birthday celebration will earn you 200 credits! That's 50 more than usual! You can also win a special prize in common rooms while the party lasts. Get all the info on our 8th birthday info page! We always start thinking about PEANUTS at this time of year, because it means the Great Pumpkin is on his way. But this year, there's another reason to be excited about Charlie Brown and the gang. The new PEANUTS movie is coming in November! The latest trailer looks fantastic. Early Access to Timmy Failure Island has been available for a few days, and the best of the best have already earned their Island Medallions. Are you among them? 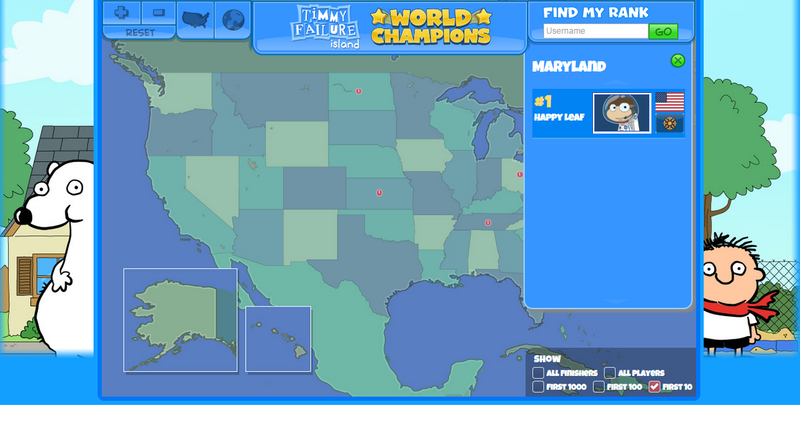 If so, see where you rank on the Timmy Failure Island World Champions live map! If not, don't keep sliding down the rankings. Become a Member today so you can be among the first to play, and finish, Timmy Failure Island! The wait is over. The latest gut-busting Poptropica Island, based on the best-selling Timmy Failure series, is now online for Poptropica Members! And non-Members can play a limited demo. When kid detective Timmy Failure's pants go missing, everyone in town is a suspect. It's up to you to investigate the crazy cast of characters and discover the truth behind the theft. Are you up for the challenge? Go to Poptropica now to play Timmy Failure Island! Congratulations to Happy Leaf for being the first player in the entire world to complete Timmy Failure Island! Where do you rank? Happening today! Early Access to Timmy Failure Island! The hour is nearly at hand. Early Access to Timmy Failure Island will be available to Poptropica Members on Thursday! As always, we'll let you know the moment it's available, so you can have your shot at becoming a Timmy Failure Island World Champion. Make sure you're ready. Become a Member today so that you can play Timmy Failure Island in its entirety tomorrow! Poptropica's 8th birthday party is underway! Visit any common room and search for the special "8" balloon. Pop it, and you'll win a prize! Because we're introducing a brand-new World Champions live map for Early Poptropica! That means that for the first time, Members and non-Members alike have the opportunity to land atop their local and global leaderboards. Plus, if it's your first time playing Poptropica, you'll get 200 CREDITS! The World Champions top finisher map will start empty. This is your chance to show the world how fast you can beat Early Poptropica and go down in Poptropica history. We're starting our 8th birthday celebration tomorrow. It'll run until the end of the month, but you'll want to hop on it early. Why? We'll let you know the moment the map is up, so you can become the next Poptropica World Champion! A free Timmy Failure prize and a jumping pig. What?! There's a brand-new prize on Main Street of Timmy Failure Island. If you've ever wanted to look as dapper as Timmy himself, now's your chance. Just go to Poptropica, then talk to Timmy on Main Street and he'll give you a promo code to buy a one-of-a-kind costume piece. We hope you've enjoyed the past several weeks of giveaways. But all this has just been an appetizer! The main course comes Next Thursday, when Early Access to Timmy Failure Island will become available to Poptropica Members. It's September, Poptropica's birthday month. This year we're celebrating our 8th birthday, and that means it's time to party. Soon, we'll be celebrating this milestone with games and giveaways. 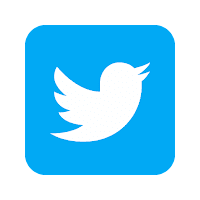 Keep an eye right here to find out when and what you can win! Eight years is a long time, especially for a game like Poptropica. We wouldn't be here without the smartest and most enthusiastic fans in the world. Thank you for eight great years of Poptropica -- with more to come! One reason we're so excited about Timmy Failure Island is that it's the first time that Timmy, Total, and the rest will be appearing in full color! To mark the occasion, starting today we're giving away a special new prize. To get yours, visit Poptropica and check out Main Street of Timmy Failure Island. Talk to Timmy to find out what it is! There's a free update available to the Poptropica app on your Android device. The latest update has three new bundle packs. Get your hands on the Athletes pack, the Dangerous Agents pack, and the Explorers pack now! You can also get a free promo code to use on the Poptropica website -- but we aren't telling what it is. So don't delay! Download the Poptropica app for your Android Tablet or Phone. This update is also coming soon for your iOS device, and we will let you know the moment it's available!